Manual screw fastening or trying to fasten a screw in a tight space can often result in the screw being tightened at the wrong angle. Screws then become misaligned in the component (so-called “cross-threading”) and can jam. The result: damage to and even destruction of the holding thread. This can lead to manufacturing stoppages and considerable remedial costs. The technical solution is as simple as it is ingenious. Developed originally for the automobile industry, NAVITIGHT® is now used in many other branches thanks to its outstanding properties. 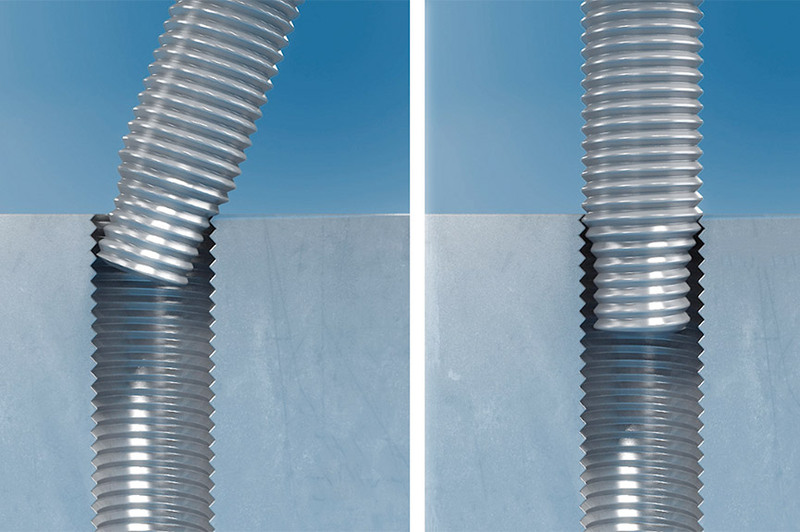 NAVITIGHT®’s secret can be found in the geometry of its thread run-out: the outer diameter of the narrower screw tip is smaller than the core diameter of the nut thread. The thread pitch, however, remains constant. When tightening the screw, the design brings the screw and nut into perfect alignment, ensuring that the screw fastening is completed correctly. The optional additional paint removal function on the NAVITIGHT® screw will also help avoid other potential issues. In order to streamline processes, entire components are often painted in one go. This results in paint covering the thread which can lead to incorrect screw fastening. The NAVITIGHT® screw with paint-removal groove makes the internal thread viable once more as the groove scrapes the paint flakes from the thread. 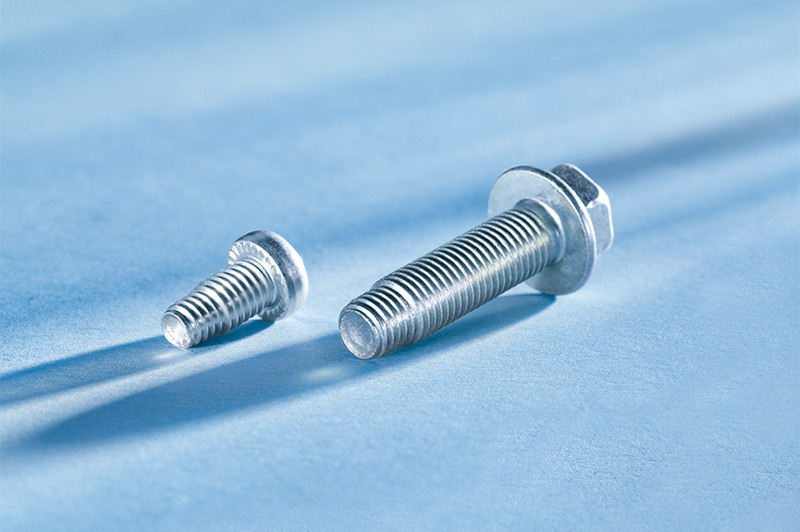 The standard NAVITIGHT® screw has a hex flange head and comes in sizes M 5 to M 14. Other drive forms and dimensions are also possible. Incorrect screwing: The screw is not placed perpendicularly to the female thread and as a consequence it is displaced for one thread and cants. Often it results in a damage of the receiving thread. 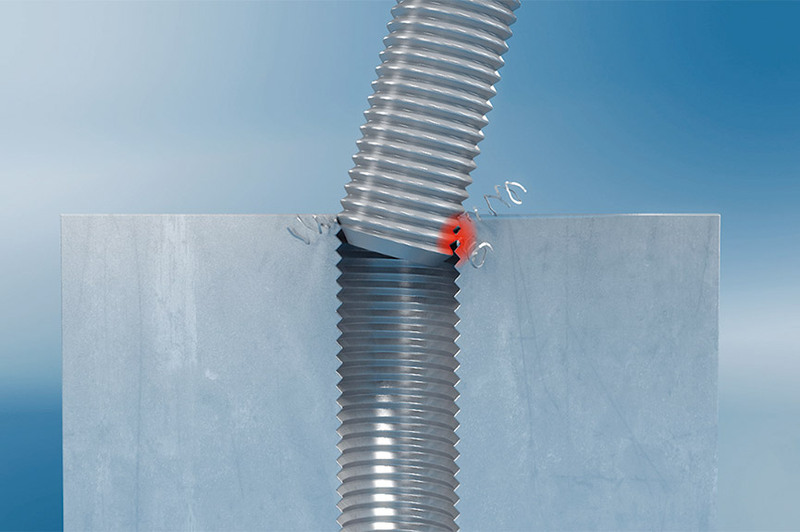 Reliable screwing with NAVITIGHT®: The screw is not placed perpendicularly to the receiving thread. Due to the narrow screw tip the components are aligned linearly to each other and the fitting occurs faultlessly.